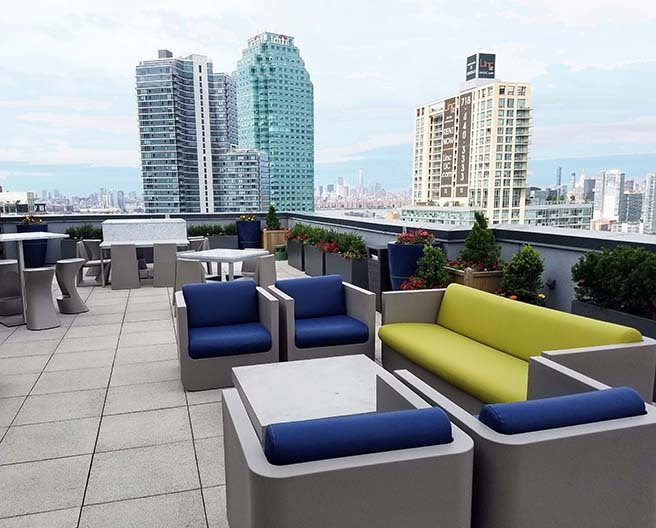 With the competitive rental market of Long Island City, In-Site designers were asked to create an updated contemporary space for the tenants that were durable yet attractive for all ages of residents. 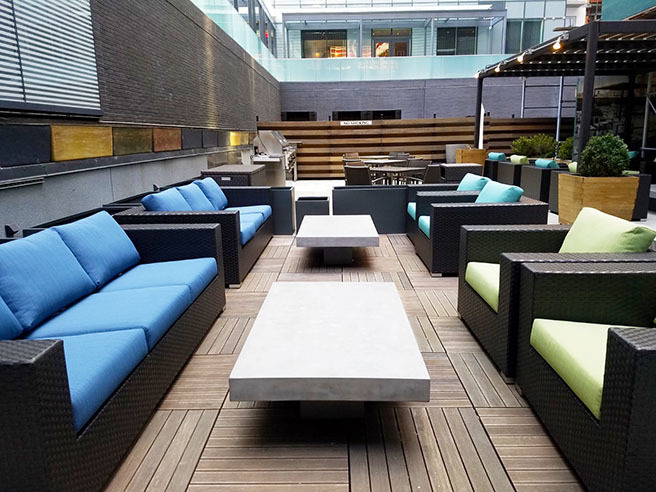 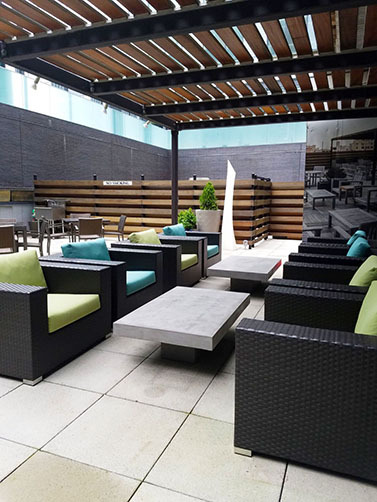 To reach this goal, contract grade furnishings to withstand the wear and tear of the multi-family residential market were selected along with fabrics that are lively, but also cleanable and weather resistant. 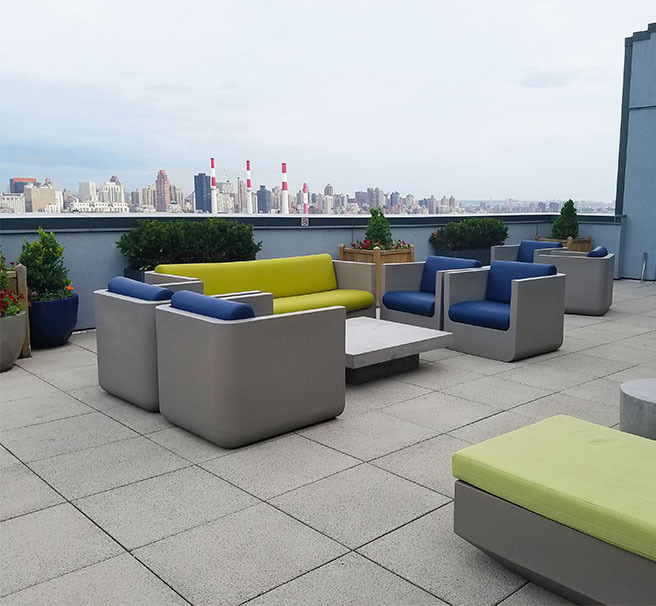 A custom dining area is incorporated into the design to help with resisting the wind up on the 27th Floor Rooftop. 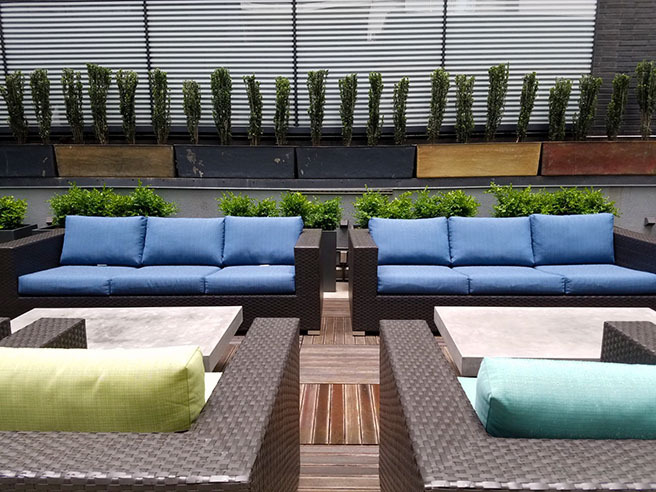 In the end, the tenants are thrilled with their new modern outdoor living space and the client is happy with a successful return on investment.